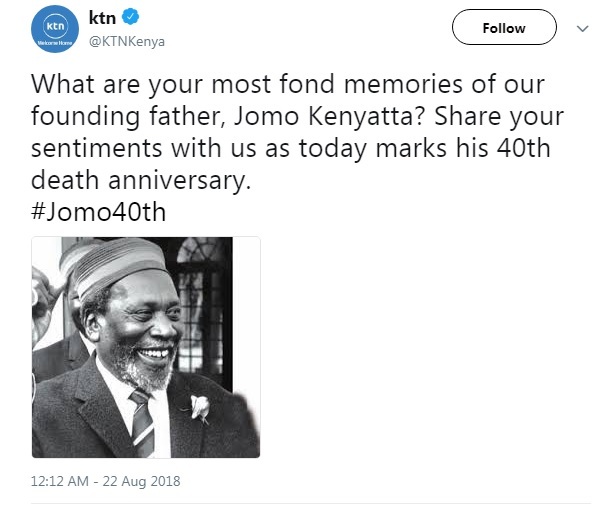 Wednesday, August 22, 2018 - Kenyans took to social media to mark the 40th death anniversary of our first President, Jomo Kenyatta. 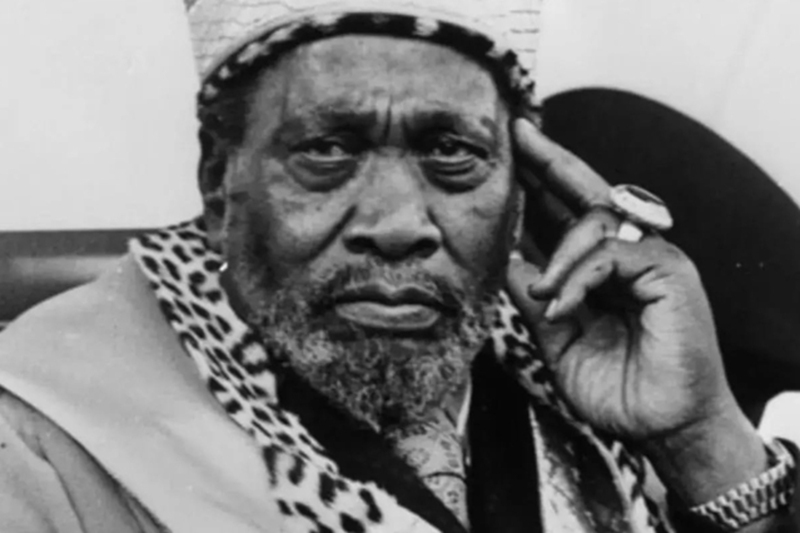 While President Uhuru and other leaders paid glowing tribute to Mzee Kenyatta, a section of Kenyans reckon that he doesn’t deserve to be celebrated. Many feel that he failed Kenyans and used his position to benefit his family and close friends. KTN asked Kenyans to share fond memories of Jomo Kenyatta on twitter and it went south pretty fast. Check out the reactions in the next page.